More than 20 years searching for elusive trapdoor spiders across WA's south-west has culminated in the recent creation of a new genus. 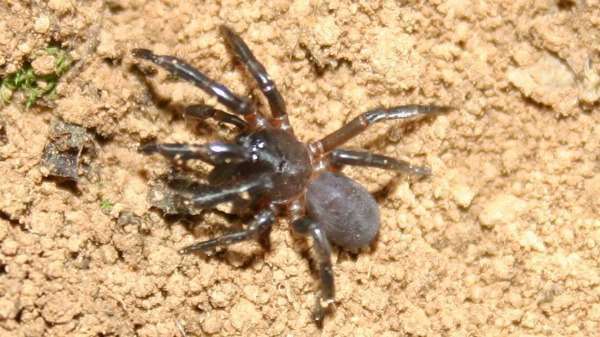 Until December, the only named species of the Moggridgea genus found in WA was Moggridgea tingle, after Perth trapdoor spider expert Dr Barbara Main discovered it near Walpole in 1991. The Tingle trapdoor spider and six of its relatives have been transferred to a new genus after WA Museum's terrestrial zoology department head Mark Harvey discovered genetic differences between their populations. Dr Harvey says the WA population became isolated up to a million years ago from a population that now live in Africa. Due to the WA spider's isolation they have genetically evolved to become distinct from Africa's Moggridgea trapdoor spiders. "Although they superficially look like African Moggridgea, we found the genetic signature was telling us they were very distinct," Dr Harvey says. The African and WA populations are so genetically distinct from each other that they could not breed and produce viable offspring. Dr Harvey noticed the front leg of the adult males, thought to be used in courtship and mating, differed in all seven species. The newly named Bertmainius tingle and B. mysticus are only known to occur near Walpole, while B. colonus, B. monachus, B. pandus and B. tumidus are found near Albany. B. opimus has the largest distribution, stretching from Collie to halfway between Manjimup and Walpole. Dr Harvey named the new genus in memory of Dr Main's late husband, zoologist and ardent conservationist Professor Albert Main, who died in 2009. 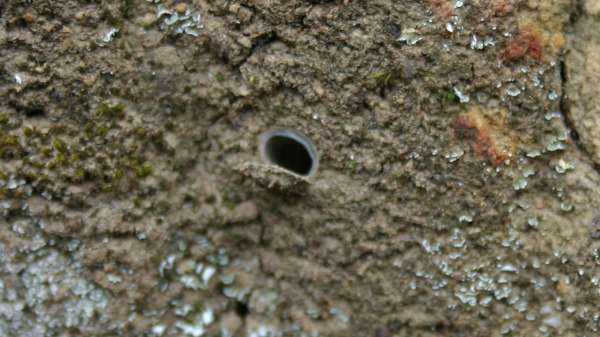 He says the species' numbers are unknown, because they live in well-disguised shallow burrows on eucalyptus bark or in topsoil. "Their burrows are really hard to see and they are pretty cryptic so you have to know what you're looking for," he says. Their nesting habitat makes them vulnerable to fire and climate change, according to Dr Harvey. "When a fire comes through, very few survive because they get burnt," he says. "If fire becomes more frequent, which we think is what is going to happen as climate change occurs, these spiders will suffer." The spiders are listed as threatened, and Dr Harvey is concerned about their long-term survival. "It's a bit worrying that they might need conservation assistance but we can now plan for the future," he says. "Being able to restrict fires to certain areas to protect certain populations is going to be important for the long-term conservation of this species."